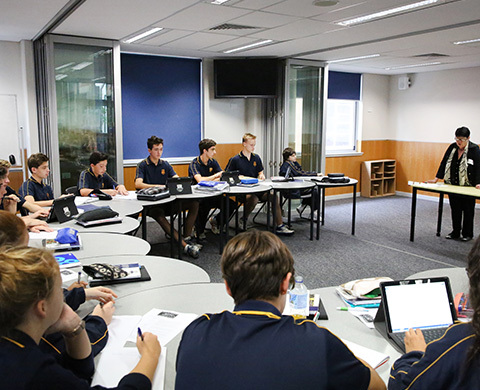 Rosebank’s IThink classes had the privilege of being a part of a discussion lead by Sydney University professor and ex-student, Dr Kerry Sanders. An array of engaging topics were on the list for discussion: equality, truth, justice, life and the universe. Student’s perceptions of reality were questioned and challenged as their minds were engaged with the intricacies of the art of critical thinking. Students explored how to deconstruct an argument, work out its validity and soundness, and in turn, strengthen their own skills in critical thinking.